Lok Sabha Elections 2019: Mayawati had on Saturday said her party wanted both Ali and Bajrang Bali -- particularly Bajrang Bali -- as the deity was "linked with my own Dalit caste". 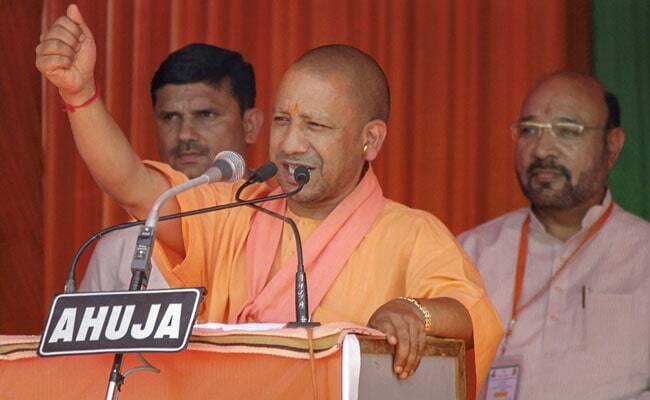 In an apparent dig at BSP chief Mayawati, Uttar Pradesh Chief Minister Yogi Adityanath Sunday said those who did not have faith in Lord Ram and Lord Krishna were now taking refuge in ''Bajrang Bali''. "Those who did not have faith in Shri Ram and Shri Krishna have now come to the refuge of Bajrang Bali," Yogi Adityanath said. "The BJP government led by Narendra Modi, on the other hand, has always worked on the policy of development of all. It gave a befitting reply to terrorism, Naxalism and separatism," Yogi Adityanath said. Yogi Adityanath also urged people to question RLD chief Ajit Singh on whose side his party took when the 2013 Muzaffarnagar riots broke out in the state.